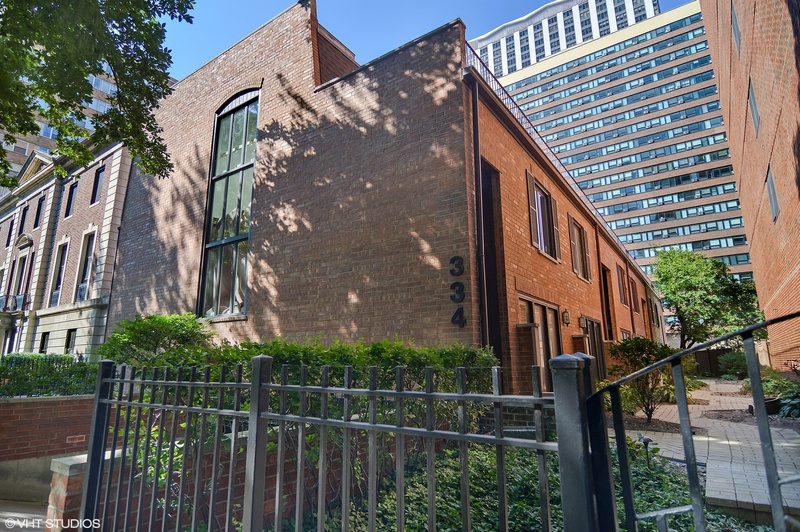 RARELY AVAILABLE, COMPLETELY RENOVATED EAST LAKEVIEW TOWNHOME WITH 3 BEDROOMS UP AND ATTACHED GARAGE PARKING ON IDYLLIC TREE LINED STREET STEPS TO PARK & LAKEFRONT. PERFECTLY APPOINTED WITH LIGHT, BRIGHT AND AIRY FINISHES, BRAND NEW EAT-IN KITCHEN W/STAINLESS STEEL APPLIANCES, QUARTZ COUNTERS, BREAKFAST BAR PLUS TABLE SPACE. SPACIOUS LIVING ROOM WITH FIREPLACE, EXPOSED WHITE BRICK, BRAND NEW HARDWOOD FLOORING AND NEW WINDOWS THROUGHOUT. STAIRWELL IS FLOODED W/SUNLIGHT FROM LARGE SKYLIGHT, PRIVATE DECK OFF OF MASTER BEDROOM LEVEL, ABUNDANT CLOSET SPACE, LAUNDRY ROOM ON BEDROOM LEVEL WITH SIDE-BY-SIDE WASHER DRYER, LOWER LEVEL UTILITY/STORAGE ROOM LEADS TO ATTACHED GARAGE PARKING SPOT, SHARED COURTYARD. NETTLEHORST SCHOOL, STEPS TO BELMONT HARBOR & PUBLIC TRANSPORTATION. Coffee Shop 0.49 mile - Diversey Starbucks @ 617 W. Diversey Pkwy. Property information last modified by seller on Monday, October 01, 2018, 10:41 PM CDT. Information Deemed Reliable But Not Guaranteed. Unauthorized duplication, use, or linkage is prohibited. The information on this web site is for personal, non-commercial use and may not be used for any purpose other than to identify prospective properties consumers may be interested in purchasing. Monthly Payment Calculator results are for illustrative purposes only, not a financing opportunity; calculations assume a 30-year fixed-rate mortgage and do not include closing and other costs. Property Tax on NEW properties is estimated at 1.5% of Listing Price for payment calculation purposes; actual value may be higher or lower.